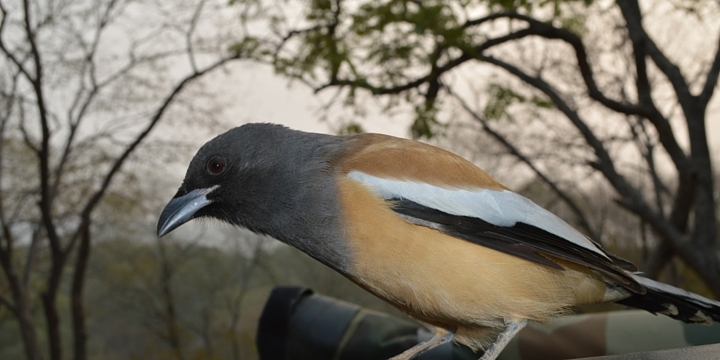 I can honestly say that our recent trip to India was one of the best holidays I’ve ever been on. We did five stops in three weeks, and each was its own mini adventure. 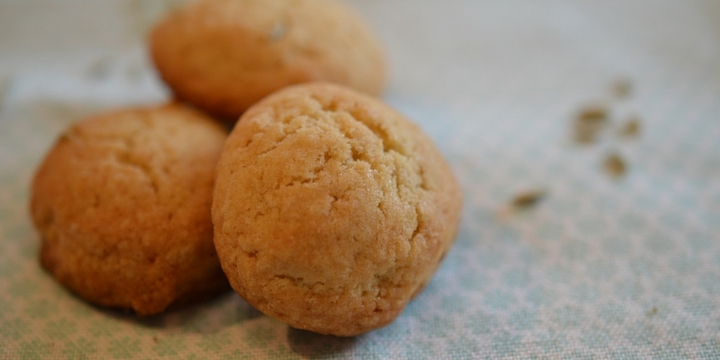 You’ll be hearing lots about it on here in the coming weeks but when I got home I created this fennel seed and chai cookie recipe in homage to a treat we had over there. 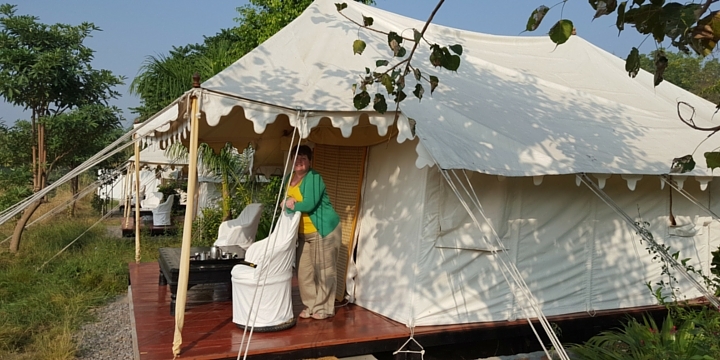 When we were staying at the Khem Villas in Ranthambore National Park, there were no telephones or TVs in the tents we stayed in (I say tents, but this was full on glamping!). So every morning as a wake up call, a member of staff would call us from the door and then deposit pots of hot peppermint tea (me) and coffee (him) on the veranda table. We’d sit out, coming round in the early morning sun and looking over the fields in which our hotel grew wheat and chickpeas. Everyday there were two little fennel biscuits on the side of my saucer which were almost like shortbread in consistency and weren’t too sweet. They went very well with the peppermint tea and the birds would hang around hoping that I would leave crumbs. As tents go, it wasn’t half bad! One of the biscuit thieves! I decided to recreate these to enjoy at home – even though I no longer have a nice man bringing my peppermint tea in a big pot with a cup and saucer on a tray! I added the masala tea Spice Drops as a very subtle background flavour. They aren’t hot spicy, but aromatic with ginger, cardamom, cinnamon and other warming flavours. If you have any powdered chai you could add that instead or leave it out – they will be delicious just with fennel. I make them bite sized so that you get quite a lot out of the mix – they freeze well so you can pull a couple out of the freezer at bed time and enjoy them with your morning brew! 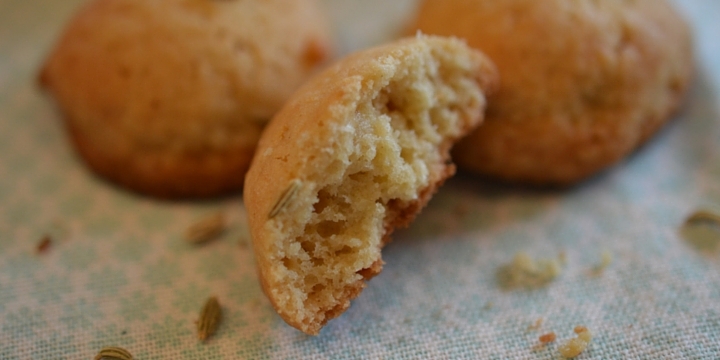 A taste of India, serve these bite sized fennel seed and chai cookies with your morning coffee or spiced masala chai! 1. 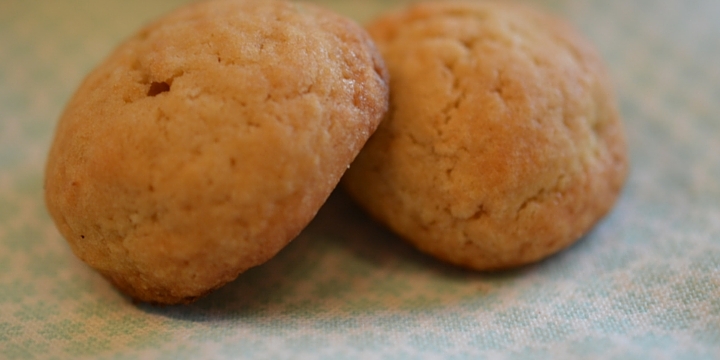 Using a stand mixer or hand mixer, mix the butter and sugar until really light and airy. Scrape down the bowl to make sure it's all mixed. 2. Slowly add the eggs and Spice Drops (if using) and scrape the bowl again. 3. Fold in the flour and baking powder. Cover your bowl and chill for 30 minutes. 4. Preheat the oven to 200c and line two baking trays. 5. Use a teaspoon, to spoon out small dollops of the dough onto the trays. Make them no bigger than a 10p / walnut. 6. Cook for 8-10 mins until just golden. Cool on a rack. Eat fresh or freeze on day of making. They sound gorgeous! I loved Chai when we went to India, and the fennel would definitely add a more complex flavour. Yum! Thanks Naomi. Hope it was as amazing there for you as it was for us. I’d go back in a heartbeat!